Children know what’s up. Why do we have to relearn so much, later in life? When to refuel? Well, it may not matter. Some yoga education for you! I’m convinced that since I started eating fermented foods everyday, I’ve healed some of my tummy problems! Okay, I’m embarrassed. I watched this one video and that lead me to watching all the other ones on that channel, which lead me to stay up way past my bedtime, bahahaha! That’s why everyone’s diet is different. It may be perfect for some and not others! It’s okay! Along those exact same lines as the previous link! This is fantastic! Even more uses for food scraps! Bahaha! Men are such babies! + Is The Biopsy Still The Golden Standard For Diagnosing Celiac Disease? Yes it is. That’s what confirmed it for me. Blood testing is still not accurate. Soon we’ll only have water…but not too much! It can kill you! + Is There Too Much Competition In Blogging? I think so…I know so. People copy-cat left and right. It’s so over saturated now. I may be alone, but I’m keeping it alive! Newbies! These videos are so simple and help you understand Yoast! I think we all feel this way at times! Need help with a goal? This site is for you! 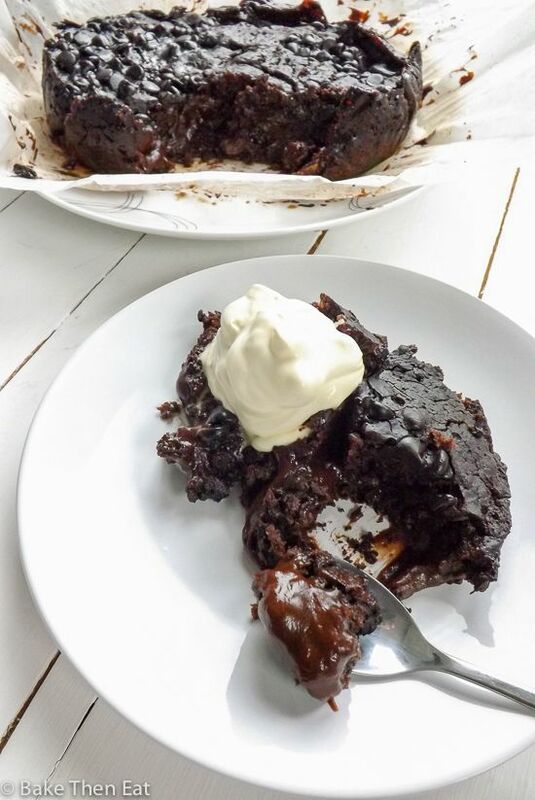 Slow Cooker vegan Hot Fudge Sauce Chocolate Cake. Mouth drop! 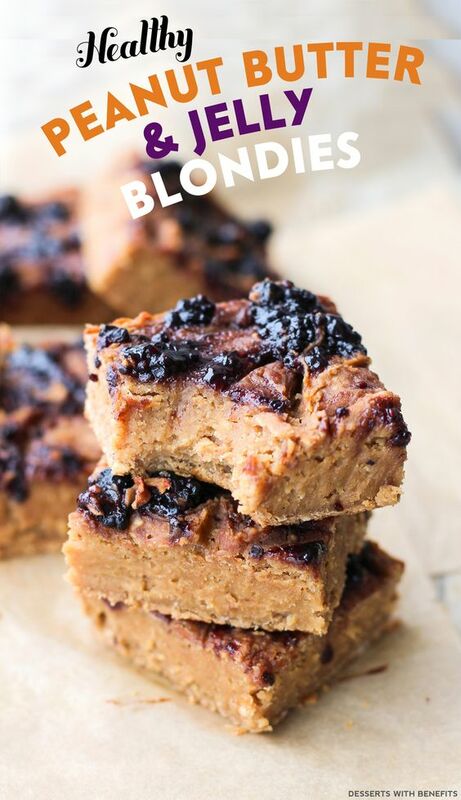 Healthy Peanut Butter and Jelly Blondies. Well I think that’s breakfast-worthy! 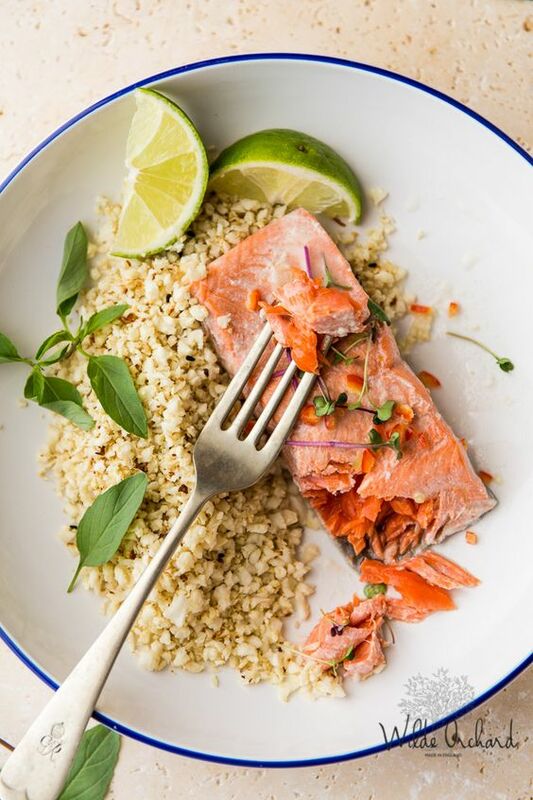 Thai Poached Salmon. I still need to try my hand at poaching! 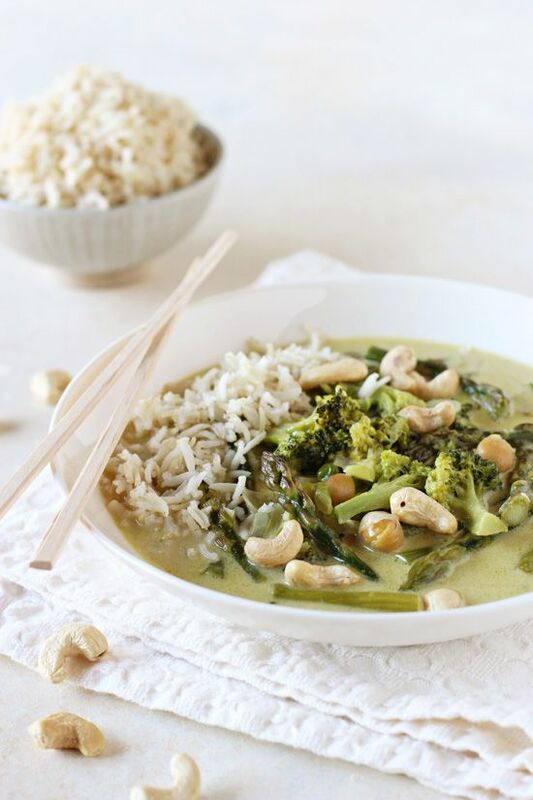 Thai Green Curry with Broccoli and Asparagus. Veggies and curry are all you need! 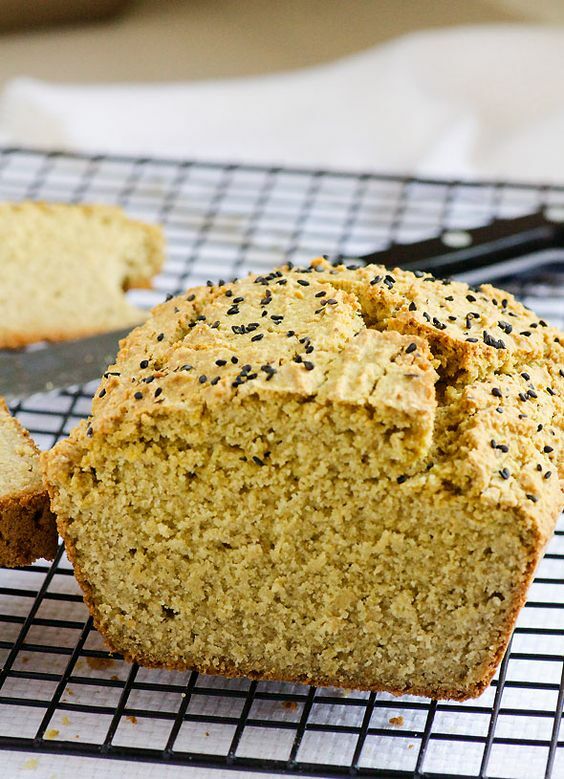 Quinoa Bread. A perfect gluten-free loaf! 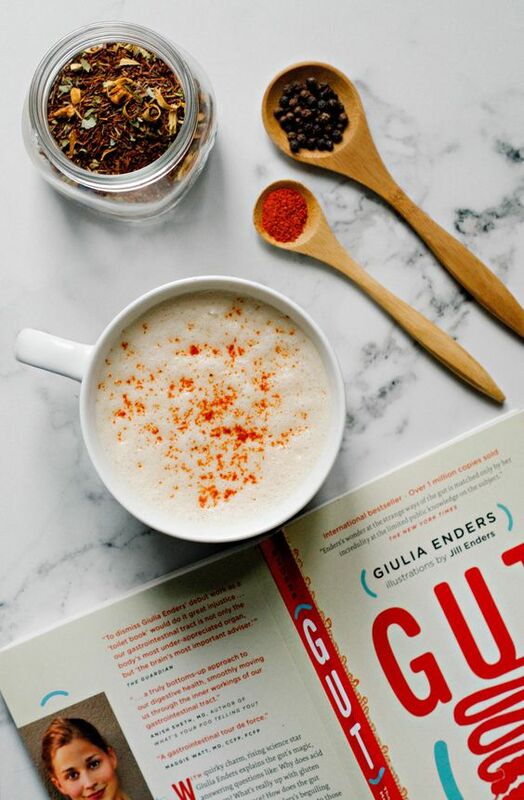 Honey + Ginger + Black Pepper Spiced Rooibos Tea Latte. Check out all that flavor! Breakfast Beetroot Cake Porridge. This breakfast has my name written all over it! 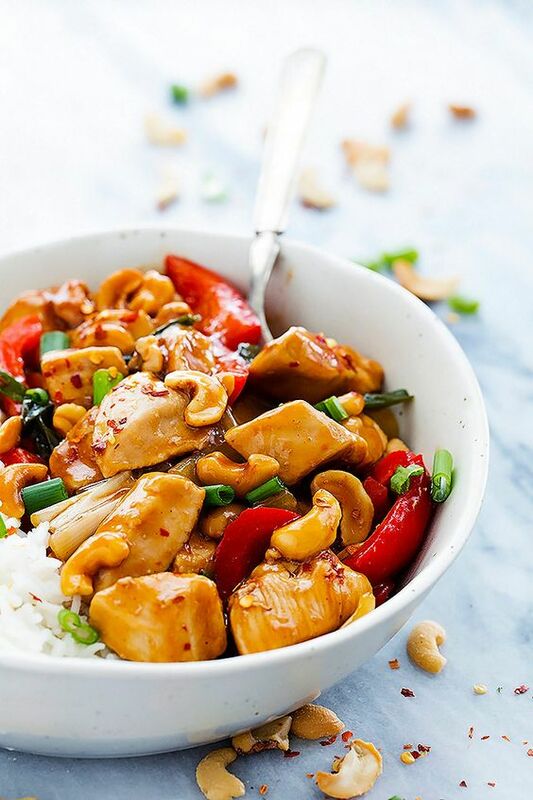 Slow Cooker Spicy Cashew Chicken. Yup, I’d eat it every day! 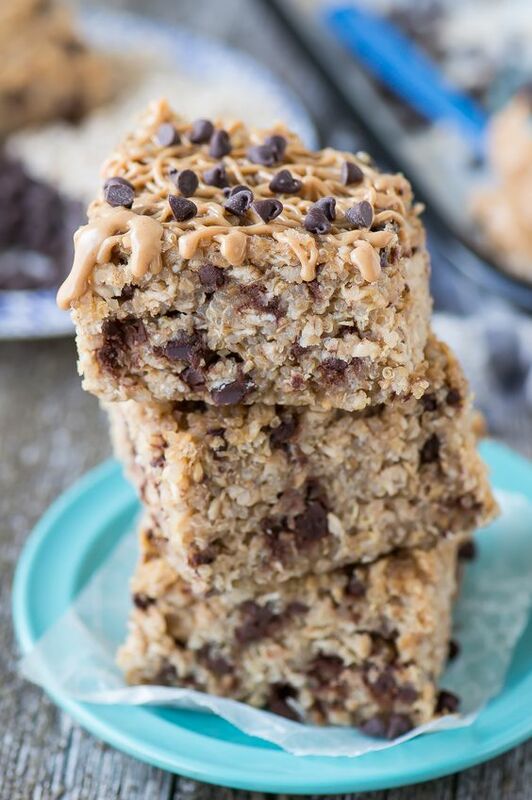 Healthy Peanut Butter Chocolate Chip Quinoa Bars. Breakfast, snack, dessert…dinner? Yes! + All those updated photos I took as well as some new recipes! + Half way done with registering for classes next year…one of the most stressful thing! + In terms of recipes for next week, what would you like to see? + Did you get attacked by the weather this week? Last weekend there was…destruction (to put it lightly) from the insane winds (and hail)! I love your Friday Finishers, always such great links. The soda consumption being down, things to learn from a 2 year old, blogging competition, and that hot fudge slow cooker recipe such great reads. Oh, that spicy cashew chicken makes me want to reach through the screen! A cake and pancake weekend! It looks pretty perfect and o so chocolaty! I neeeeeeeeeeeeeed that chocolate fudge sauce cake in my belly right now! Way to go on registering for your classes! I used to hateee picking courses in school – especially when the ones I wanted to do clashed/couldn’t work together. Since it’s made in the slow cooker….it automatically wins! Haha, I’m not even going to try with that one! I have no use for it! You have tons of amazing recipes here- thanks for sharing! How do you always find so many good articles? I love the fermented foods one–I’ve been trying to eat probiotics every day and I think it makes me feel better, too! Also glad to see that nutrition timing myths are starting to be dropped. All the rules about when and what to eat are too restrictive to apply to everyone! There is magic in the krout! hahaha! Yes! I never really could get myself to believe that…it just doesn’t seem like it would matter, as long as you get in proper fuel at some point. Agreed! Everybody is so so so different and I hope that soon people will really start realizing that! thanks for all these awesome recipes and links! I need to use my slow cooker more haha. I loved using it for oatmeal during the winter. I just need to find more recipes I like 🙂 have a good weekend! You know I’ve still never made oatmeal in the slow cooker! Just pinned those strawberry shortcake cupcakes. They look ahhhhmazing. Yes about the weather! No snow here in Georgia, but a rollercoaster of warm days and chilly days. I am so ready for Spring! I love your Friday posts because there are always treasures here. Those peanut butter and jelly blondies look so amazing! I think I would take Georgia weather over NJ any day! You’ve got lots of great links here and I will need a cup of coffee to enjoy while I scroll through all of them. The peanut butter blondies jumped out at me. I know my kids would love a treat and if they are healthier than traditional, I am all ears. Have a great weekend and stay warm. I’d say you have a great weekend baking project with the kids on your hands! Really, what’s with the wind?! And at this point I’m so not present that I’m just working on accepting that I’m not present, lol 🙂 Love the haters article, it’s taken me my whole life to understand this but so relieving once you do. Mmmm, and the quicker we learn it the better and more free! I saw the article about fermented foods and I feel the same way! I think it’s helped a lot of my digestive issues. Can’t believe the crazy weather you guys are having. More reason to come to FL! Yea! I really think the sauerkraut and pickles I eat (I have some with dinner every day) has REALLY helped! Yea, seriously….I need to book a flight! Just doing my part to keep blog comments alive ;D As someone who doesn’t have a recipe site, blog comments are sa huge indicator of my site’s worth. And we won’t even talk about the weather.